There are many Croatia islands out there and if you are going to visit them you should know which is which and know a bit of their history, right? So we will guide you through them. 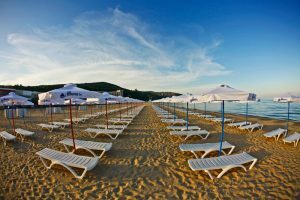 If you are looking for amazing holidays in Croatia we recommend you to visit Balkan Holidays. This tour operator site is awarded for best medium holiday company and for over 50 years offer great value holidays and cheap holidays to Croatia. So, Croatia has a family of amazing islands some of them are very different, just like people. Brac for example is very crowded and energetic, Lopud is quite nice and isolated… So let’s start the presentation of these amazing islands. Mljet is located in Southern Dalmatia. This gem of nature is very quiet and peaceful, it is not very known in minds of holidaymakers, because it is much unnoticed, not only from travel blog sites, but also from press and foreign tourists. We tell you this not in a bad way, Mljet is amazing place to be. More than 75% of the land of Mljet is covered with forest and trees. This is one of the largest forest in Croatia, that’s why they call it National Park of Croatia. Unlike Nessebar or Sozopol – Bulgarian ancient, full of history destinations, this island has one thing in his sleeve and it’s a big one – Amazing Nature! The main assets of Mlijet are those amazing forests that we are talking about. So picture yourself in a salty lake, with cold drink in hand and hearing the wind blowing the trees… – magnetic! One of the Mljet must see thing is monastery on the big lake. One of the things you will love. Other thing to see is beautiful sandy beach of Saplunara – you take best from both – forests and sea. At the end we want to take point for walk along Babino Polje and you will find the amazing Obysesus Cave. Mljet may be not noisy, but hell sure it’s amazing! Thanks for reading, place share it with you holidaymakers’ friends and family.